Hey all... Been a hectic two weeks. Turns out if you run a crypto currency project on Google Cloud Platform, you have to spend $2,500 every three months or they will shut your project down even if you don't use that much resources. Anyways... VY256 Miner is back up on a more amenable host and the updates continue. -Fix: Raffle ticket purchases not working depending on no one else buying one before you. So anyone can download it... Follow the instructions and just run their own pool if they wish with the VYPS WordPress plugin without ever talking to our servers (the only thing I am seeing is XMR wallets and IP addresses that connect as no account or email reward), but I would not be opposed to people running their own fail safes since it does not cost me anything directly as a loss. Which is why I want to get the multi-wallet donation system setup up... Currently the VY256 Miner donates to me and Notgiven688 (the original open source author) respectively, but I feel like this system could have a third wallet respectively. That said... If you do want to run your own server, feel free to reach out to me on discord and I can be of assistance. You will need to be familiar with Debian, Ngnix, and Linux in general so its not as simple as running a WordPress page. In other news... 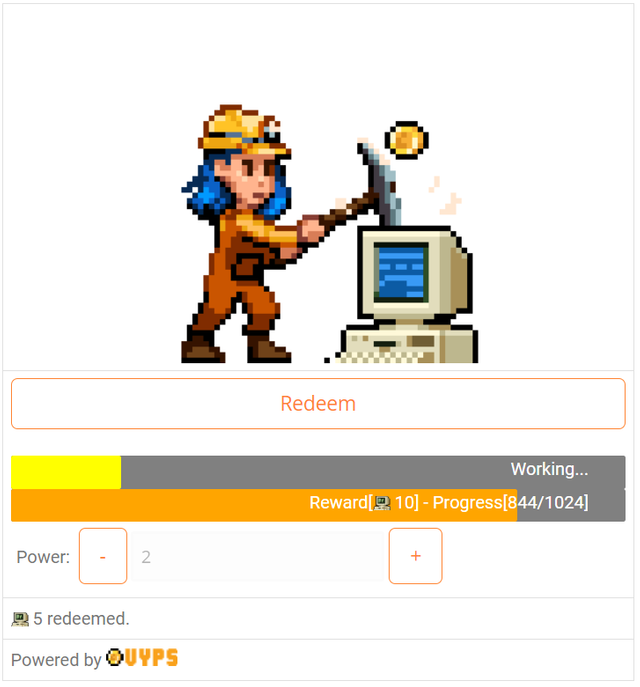 I am going to functionize VYPS a bit more for 3rd parties and per user requests I'm going to hook into Mycred Plugin as it is a similar system but doesn't handle rewards and honestly, I don't want to get into awarding users for engagement on bbPress or BuddyPress because Ad rewards and browser mining is my thing.